Northumbrian Water provides water and sewerage services to a population of 2.6 million people in northeast England. Taking in excess of 1.2 million calls to its contact centres every year, Northumbrian Water wanted to place greater emphasis on customer service quality. A key requirement was the ability to offer customers access to a 24x7 PCI DSS compliant payments platform. As well as the 2.6 million people in northeast England, Northumbrian Water has a further 1.8 million customers in southeast England, where it trades as Essex and Suffolk Water. Focusing squarely on its core competencies of water and wastewater management, the company aims to deliver value to all its stakeholders by being a leader performer in its industry. 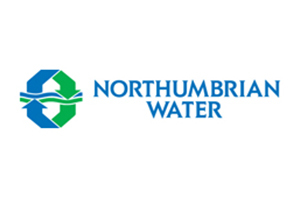 Northumbrian Water wanted to place greater emphasis on customer service quality. Issues facing the business included routing complex customer enquiries to appropriately skilled agents, while ensuring that debt recovery calls were handled by the right advisors. Another key requirement was the ability to offer customers access to a 24x7 payments platform. Following an invitation to tender, a comprehensive Eckoh BT solution was chosen. This teamed EckohPAY with a BT inbound non-geographic numbers service. A hosted telephone and web payments solution, EckohPAY is fully compliant with stringent Payment Card Industry Data Security Standards (PCI DSS). Meanwhile, interactive voice response (IVR) services provided on the BT inbound platform helped to automate routine enquires and improve call routing. Judith Lillie, Customer Accounts Manager at Northumbrian Water, says: "We chose the Eckoh BT partnership for its demonstrable experience in delivering contact centre solutions across a wide variety of industries and, in particular, the UK utility sector." Furthermore, the EckohPAY commercial framework adopts a pay-as-you-go model, ensuring that costs are tied directly to usage. The Northumbrian Water EckohPAY service went live in February 2010, providing callers with the ability to pay water charges using debit or credit cards. By October 2010 over £7.4 million has been collected by the EckohPAY service. The success rate actually exceeded initial estimates and the service now handles just over 50% of all debit and credit card payments through Northumbrian Water contact centres. The EckohPAY solution has recently gained additional functionality. This provides customers with a dedicated enquiry line to obtain instalment and account balances. the ability to set up direct debits for future payments, and online meter reading entry. These services are aimed at further reducing the strain on Northumbrian Water contact centre agents, who can now handle increased call volumes at a reduced cost. Automating payments has increased agent capacity to deal with calls that may not be appropriate for self-service. Meanwhile the IVR platform improves response to routine customer service requests and ensures that live agents address the most critical customer enquiries. Judith confirms: "Eckoh and BT have delivered an innovative solution that's enabled our contact centre to improve efficiency while providing customers with improved service levels." We chose the Eckoh BT partnership for its demonstrable experience in delivering contact centre solutions across a wide variety of industries and in particular, the UK utility sector. Northumbrian Water is committed to offering the highest quality of customer service. The solution clearly shows how speech technology can improve the customer experience while reducing contact centre costs. The gains have exceeded our expectations."